Welcome to Angel City Deli! Sandwiches and Plates We're serving up all your favorites with your choice of sandwich or plate. All sandwiches come with 2 slices of bread, and plates include two side dishes. Rib Dinner Plates come with (4) bones and your choice of two side dishes. 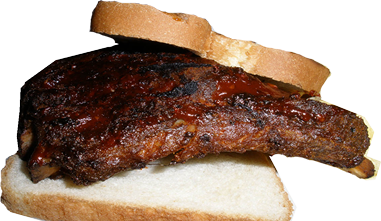 Rib Sandwiches come with (3) bones and two slices of bread. Three pieces of bbq chicken with your choice of two side dishes. BBQ Chicken Sandwiches with tender morsels of chicken chopped up with sauce with bread. 1lb of Brisket sliced up with or without sauce served with two side dishes. 1/2 lb of brisket sliced with bread. Enjoy two nice filets seasoned and fried with your choice of two side dishes. 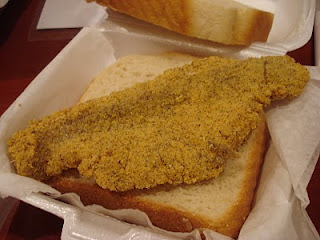 Delicious Catfish fried to perfection served with homemade tarter sauce on bread. 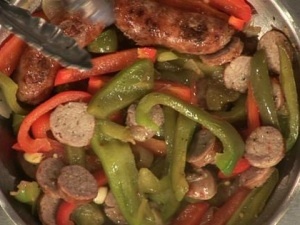 Hotlinks and peppers sauteed up with your choice of two delicious side dishes. Hotlinks sliced and sauteed with onions and peppers on bread. 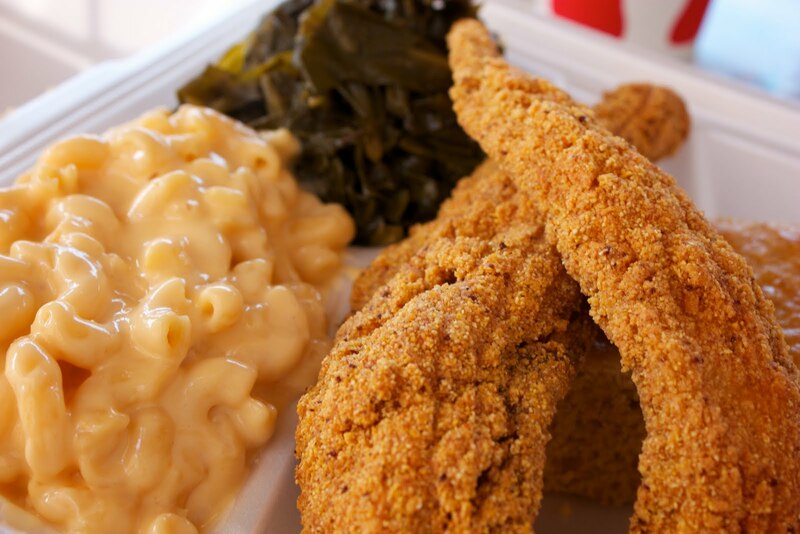 2 seasoned pork chops fried to perfection along with your choice of two side dishes. Seasoned fried pork chop nestled on bread. Get these tender shrimp sauteed in lemon pepper sauce with barbecue sauce along with two side dishes.